Architect Bing Thom was scheduled to speak on “The Making of Central City and Beyond” on Thursday, February 8th at 2 pm. THIS LECTURE HAS BEEN CHANGED TO THURSDAY, MARCH 1 AT 2-3 PM. The lecture will still be held SFU Surrey, Central City, 250–13450 102nd Avenue, Surrey. Do we have enough space for future job growth? The City of Vancouver is undertaking the Metro Core Jobs and Economy Land Use Plan to ensure there is sufficient land to accommodate future job growth and economic activity in the metropolitan core. The study has recently completed “Step Two: Projecting the Future” where future projections of job growth and demand for employment space are compared to the amount of employment space that could be built under our current zoning. City staff will be on hand to answer questions and collect your comments. 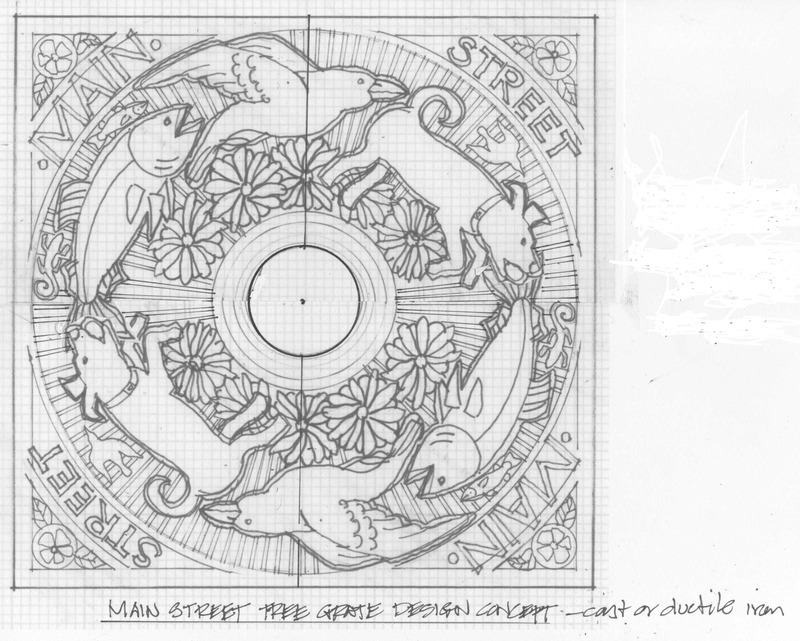 Frank Ducote, one of our regular Urban Design instructors, was a consultant on the nearly completed Main Street Showcase Project in Vancouver. The entire 8km corridor was selected as one of the region’s Transport Canada/TransLink)/municipal Showcase projects to help reduce greenhouse gas emissions; in this instance by making changes that would make bus service more efficient and dependable. Tamim Raad at Translink, Winston Chou in the City of Vancouver Engineering Department, and Phil Scott of the Planning Department were the key project participants for their respective agencies. 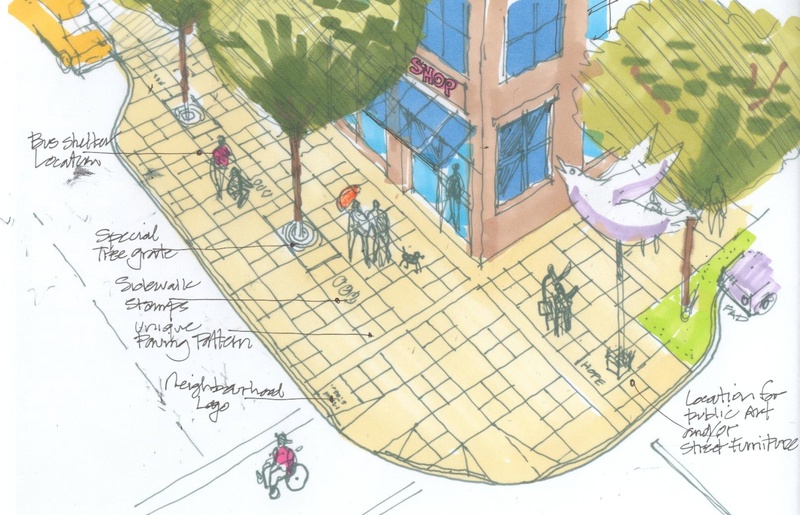 The Main Street Project is a great example of addressing a big issue in small ways. By making dozens of little changes, the result is a change in the way people view their local neighbourhood, how they use transit, and ultimately how they lower their carbon footprint. But because the changes are relatively minor, they don’t get as much public profile. Still, these are details which when put together change the big picture. UBC urban-planning professor Larry Frank has been on the front lines of the sprawl debate. 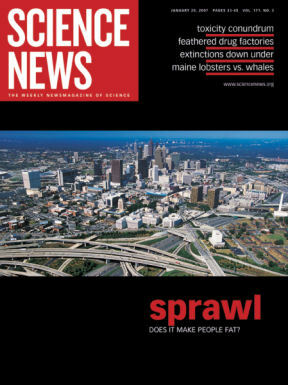 And the current issue of Science News has a fine cover-page story on the controversy. Larry did much of his research in Atlanta, Georgia, where he lived for many years. After moving to Vancouver, he personally experienced the consequences of the city’s different design. The glaring difference between the two cities’ landscapes figures in Frank’s professional life as well as in his personal one…. He and other researchers have evidence that associates health problems with urban sprawl, a loose term for humanmade landscapes characterized by a low density of buildings, dependence on automobiles, and a separation of residential and commercial areas. Frank proposes that sprawl discourages physical activity, but some researchers suggest that people who don’t care to exercise choose suburban life. Besides working to settle that disagreement, researchers are looking at facets of urban design that may shortchange health. Turner conducted a study that tracked people over time, as some of them moved from one neighborhood to another. He and his collaborators found no change in weight associated with moving from a sprawling locale to a dense one, or vice versa. By surveying people in a variety of neighborhoods, he learned that people who are less inclined to be active tend to live in less pedestrian-friendly locales—evidence that people are sorting themselves. But he also found that, no matter how much people like or dislike being active, they are more active when they live in compact, walkable areas than when they live in sprawling neighborhoods. Larry has also made the point: So what if people sort themselves? We need to offer people more opportunities to live in the kind of neighbourhood where they can walk if they choose. Too often our urban design discourages physical activity regardless of people’s motivations. “The overarching message is that the built environment is an enabler or a disabler of active transportation—of walking,” Frank says. Here are our upcoming SFU City Program lectures and mid-career courses. Most events take place at SFU Vancouver, with some lectures in Surrey and some courses in Edmonton and Kelowna. Public lecture speakers include Anthony Downs of the Brookings Institution, author of many books including ‘Stuck in Traffic’ and ‘New Visions for Metropolitan America’ . Registration and additional details at http://www.sfu.ca/city . Given the access problems the Burnaby campus has faced with the recent spate of weather, maybe it is time to consider an alternative. Portland, Oregon, is once again showing the way with the recent of opening of the Aerial Tram connecting the Oregon Health and Sciences University on Marquam Hill with the South Waterfront development. Perhaps the Portland Aerial Tram will inspire some new thinking for access to SFU Burnaby Mountain ­ I¹ve occasionally done some calculations based on manufacturers¹ web site data and it would certainly be feasible to replace the #145 Production Way Stn SFU shuttle bus route with either a two cabintram (like Portland) or a detachable gondola (like those at Whistler. Both would be faster than the bus and have sufficient capacity. Having fully loaded artic diesel buses grind up that hill all-day (reportedly being passed by fit cyclists!) can¹t be good for anyone.